Yey for a haul! 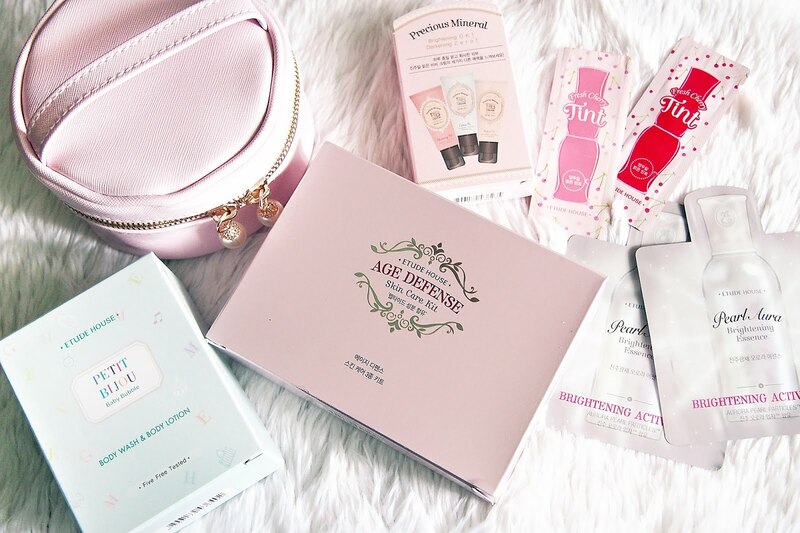 Yey for Etude House products! Yey for Etude House products haul! (what?) Hahaha..
Look at these pretty little thingsss! Why do girls like me get ‘kilig’ over these goodies? Anyway... I remember getting an email from Etude House last time about one of their latest product - Enamelting Gel Nails. They have another new product which is the Color in Liquid Lips. So after a few months of seeing Etude House campaigns with Park Shin Hye (Color in Liquid Lips)... I decided to get the Enamelting Gel Nails and the Color in Liquid Lips. I got the Etude House Enamelting Gel Nail Cleanser and the Gel Nail Remover. Of course! These are required before and after applying the gel nail polish. 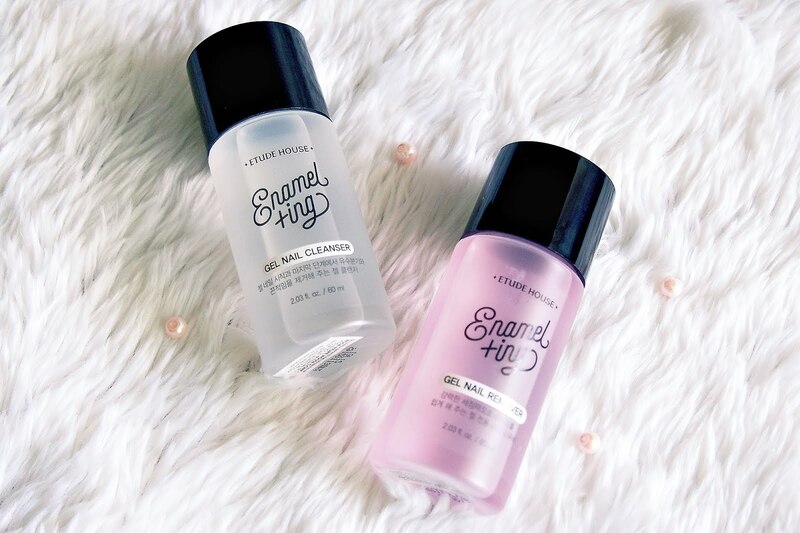 The Etude House Enamelting Base Gel + Enamelting Top Gel plus three shades of Enamelting Gel Nails (you may check the color # at the end of this post). Ta-da~ She found it for me. So happy!! This new batch of Etude House Enamelting Gel Nails look beatiful too! All of these Etude House Enamelting Products for only $99 SGD or Php 3273.22.. 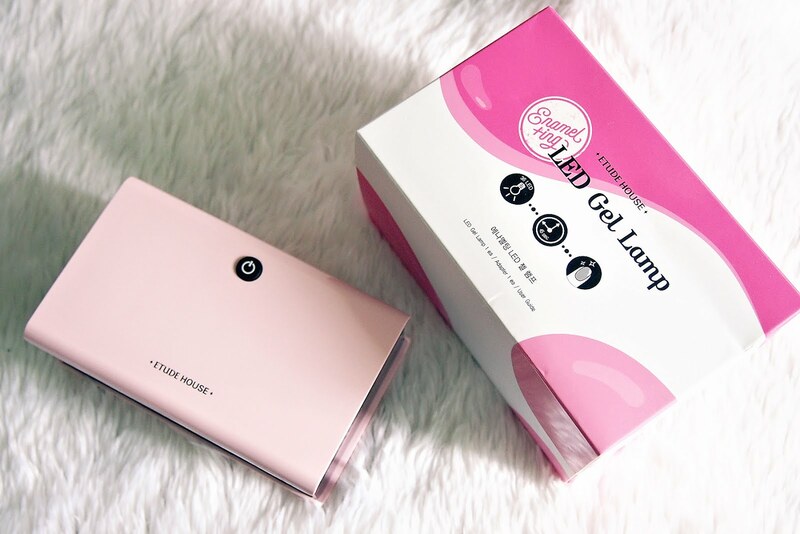 According to Etude House Philippines website the LED Gel Lamp costs Php Php 3,598.00. Talk about price difference... but I haven’t checked the actual product on Etude House branches in the Philippines so I’m not sure if the lamp also comes as a set here in the Philippines. Anyway, now I have a lifetime supply of gel nails. Something to love about Etude House... they give free gifts if you reach a certain amount. 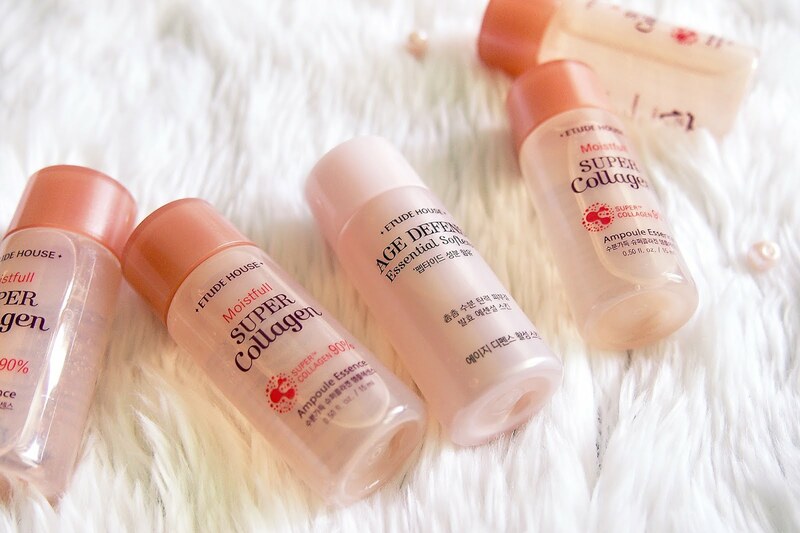 Etude House Moistfull Collagen & Etude House Age Defense Essential Softener in mini 15ml bottles. These are from Etude House Philippines.